Can you honestly tell me you would refuse a Matarocchio 2011 or a Clos Des Lambrays Grand Cru 2014? 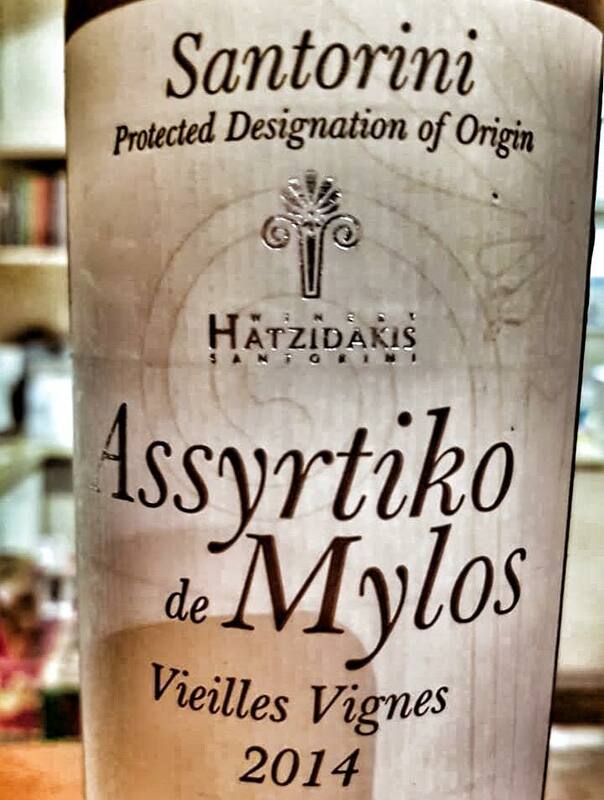 An Assyrtiko de Mylos 2014? An Economou Assyrtiko 2012? Let me try and take it from the beginning. My ‘wine friends’, as I call them, because we met when we were taking our WSET courses, are definitely the hardest to refuse, when it comes to tasting wines. We have a kind of informal agreement that I hold a pre-Christmas dinner for the gang. This year we had pre-Christmas, pre-New Years, New Year’s Eve (it gets worse by the year) at my home, a friend’s restaurant and another friend’s home. 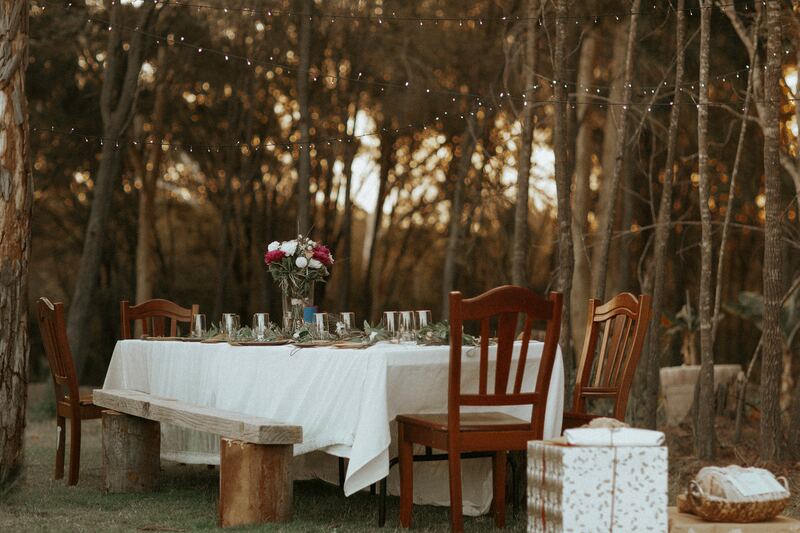 These dinners were besides the traditional family dinner of Christmas Eve, lunch on Christmas Day, Boxing Day, New Year’s Day (sigh!). 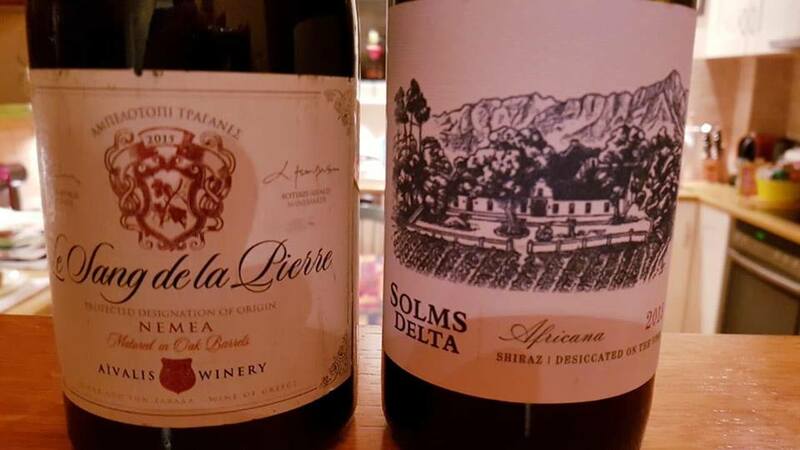 I had the Africana 2013 Solms Delta and Sang de la Pierre 2015 Aivalis with Greek black pig cooked in a rich tomato and red wine sauce. Both wines are made of grapes desiccated on the vine. The Africana is made of Shiraz, the Sang de la Pierre is made of Agiorgitiko. I was blown away by the similarity the two wines showed. Both wines are extremely concentrated, with present but silky tannins, and good acidity. The Africana had a nose of prunes, cherries, black currant and liquorice, with lovely black pepper,and a more herbal character on the palate. The Agiorgitiko showed a nose of sundried black fruit, floral notes, sweet spices, pepper, dark chocolate and an earthy character. Both had a long aftertaste. Both wines paired beautifully with the food, and their lushness stood beautifully against the rich tomato sauce. Two wineries I am sentimentally attached to, for different reasons to each, that made me proud to have offered them to my friends. 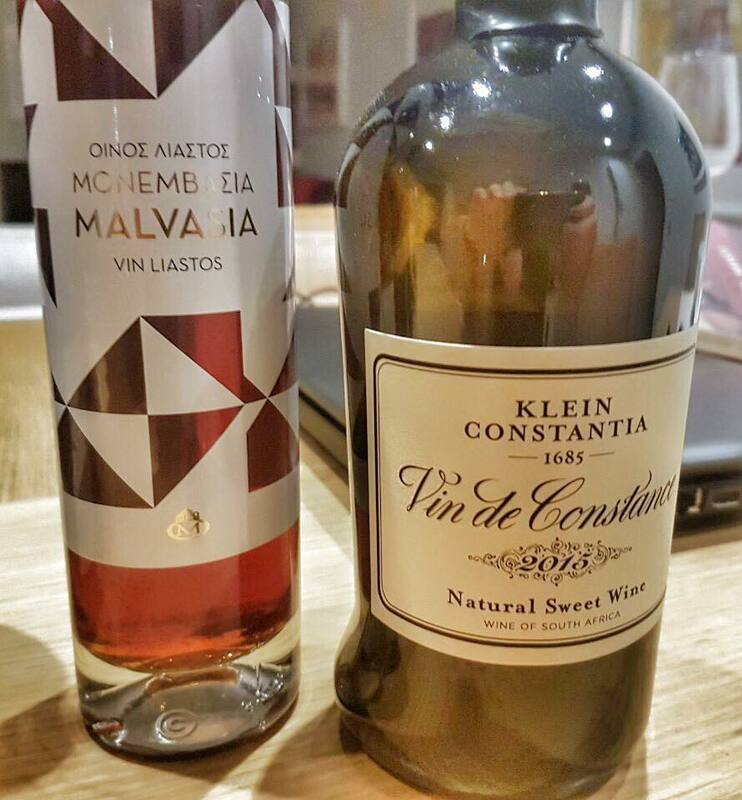 The last two wines I will be referring to are the legendary Vin de Constance 2015 from the Klein Constantia Winery and the Malvasia 2010 from the Monemvasia Winery. Despite the fact that I consider myself a South African-Greek, and that I've made an immense effort to buy and taste South African wines, I had never tasted the Vin de Constance, until this New Year's Eve. One of my wine friends, Giorgos, was kind enough to share these two wines with us at his home (after a long list of other lovely wines). I thought “mmm, this new year is quite definitely starting well” and as you probably know the 2015 has caused a major stir. According to Tim Atkin MW “.....one of the greatest ever vintages....” and Greg Sherwood MW names his article “Tasting Vin de Constance 2015 at the London Launch – Moving Greatness to the Next Level”. It was every bit as exceptional as they describe it to be. Fresh, refined, not at all “sticky”, with aromas of citrus and orange peel, apricot marmalade, honeycomb and spice. The aftertaste lingered on forever.